DC Lindy Exchange April 20-22: We Love You Madly! 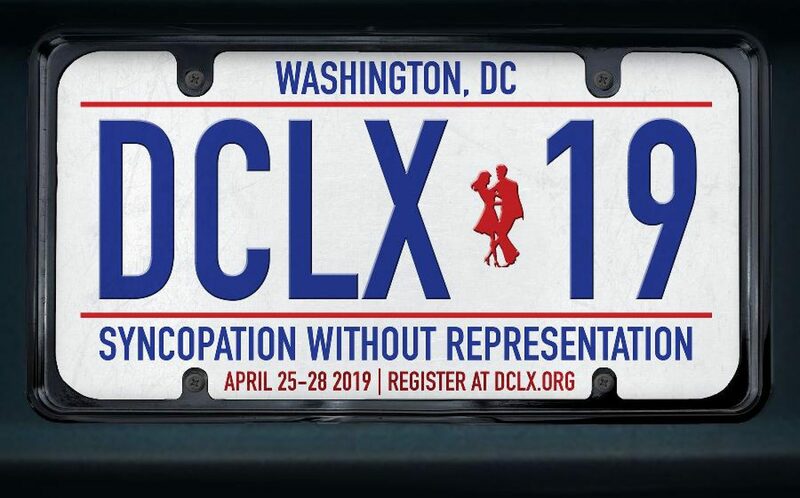 DCLX, the nation’s premier Lindy hop exchange, offers the nation’s best live traditional jazz music, drawing musicians and dancers from across the world, April 20-22, 2018 in Washington, D.C. The nation’s capital has been a destination for hot jazz and fast dancing for generations. On April 20-22, D.C. Lindy Exchange (DCLX) sends a love letter to the history of jazz dancing, featuring top swing musicians from around the world and right here in D.C. This year’s event, “We Love You Madly,” will feature a variety of ensembles, from big bands to tight groups. The full-weekend event spans Friday evening into late Sunday night, so lace up your shoes and join us for a celebration of the District’s unique jazz scene! Friday evening at Glen Echo: DCLX welcomes Michael Gamble and the Rhythm Serenaders Orchestra to the historic Spanish Ballroom at Glen Echo National Park in Glen Echo, Maryland. 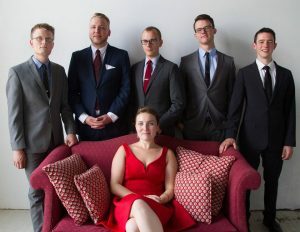 The Rhythm Serenaders are an aggressively faithful presentation of tightly-arranged, riff-dominated swinging small-group jazz created for a swing dancing public. You’ll hear careful transcriptions and subtle adaptations of Goodman/Christian Sextet, with thoughtful forays into the combo work of Ellington, Basie, as well as some of the later 40s material put down by Eldridge, especially his time with Artie Shaw. With Laura Windley featured on vocals, the band also explores the Billie Holiday songbook. Dance starts at 9pm, free beginner lesson at 8pm. Price: $25. Saturday afternoon at Dupont Circle: Join us as we swing out under the Dupont Circle fountain to both live music and some great sets by our favorite DJs. From the City of Brotherly Love comes Chelsea Reed and the Fair Weather Five, Philly’s finest jazz band specializing in playing for dancers. They have played renowned Philadelphia venues and travel the country year round to perform at both Lindy and Blues exchanges and workshops. Drawing upon the intensity of powerhouse vocalists, the ingenuity of 20th century composers, and the soul of the dance floor, Chelsea Reed and the Fair Weather Five honor the heritage of jazz with fresh arrangements and original songs. They are silly, passionate people who love playing this music. Dance starts at 1pm, the band starts at 2:30pm. Price: Free! Can’t get enough of Chelsea Reed and the Fair Weather Five? The band will be doing heroic double-duty, playing the late night dance that begins at 1 a.m.! Saturday night at Glen Echo: DCLX returns Saturday night to the Spanish Ballroom at Glen Echo National Park in Glen Echo, Maryland to welcome The Jonathan Stout Orchestra, featuring Hilary Alexander. The Jonathan Stout Orchestra is the nation’s premier swing dance big band. The 15-piece Orchestra showcases the big band sound of the late 1930s and early 1940s and captures the unmatched excitement and true rhythmic pulse of the Swing era. Following the templates of Benny Goodman and Count Basie the orchestra is aggressive and tight, and filled with all-star soloists that bring the fire on every song, regardless of tempo. Dance starts at 9pm, free beginner lesson at 8pm. Price: $25. Sunday afternoon at the U Street/African American Civil War Memorial: Dance in the shadow of one of our greatest presidents while listening to some of the greatest jazz music of all time! Steeped in the tradition of the masters but forging ahead with a style all its own, Shannon Gunn and the Bullettes highlights the talents of DC’s jazz women. Laid back but hard swinging, the Bullettes bring all generations together to enjoy a dynamite performance. The Bullettes have released four albums and continue to wow audiences and perform both swing, originals, and straight ahead jazz charts for audiences young and old. Dance starts at 1pm, band starts at 2:30. Price: Free! Sunday evening at Catholic University of America’s Caldwell Hall: To close out the weekend, DCLX welcomes a local favorite, Craig Gildner and the Ivy City Six. 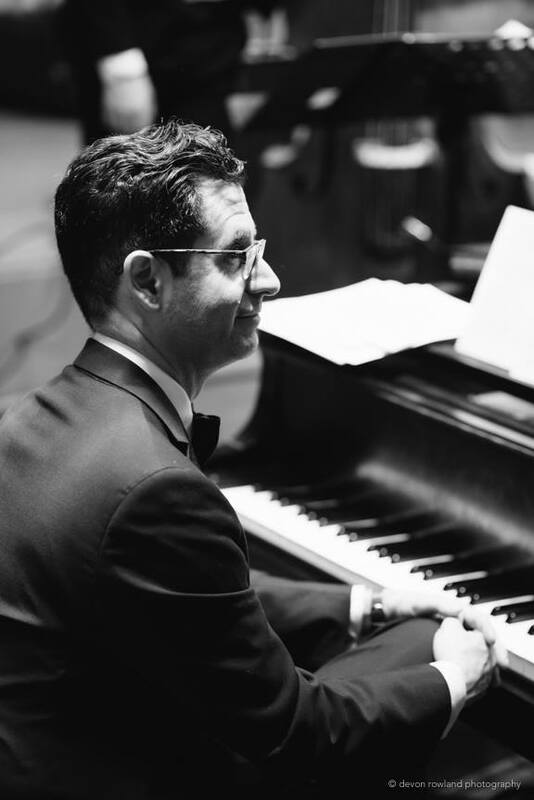 Craig Gildner have been playing traditional swing music since 1999. While other “neoswing” bands were donning outrageous zoot suits and playing jump blues, Craig was delving into the true classic repertoire of the swing era small bands from Basie, Ellington, Goodman and Shaw. They play both the classics as well as original songs and arrangements that stay true to the swing lexicon: you’d hardly know if it was written in 1944 or 2014! Dance starts at 8pm. Price: $20. If that’s not enough, we’re also welcoming blues musicians and even more swing bands for late night dancing, from 1am to 5am both Friday and Saturday night. We hope you like dancing! For more information, please visit DCLX.org. Tickets are available at the door, or you can register for the full weekend in advance. Put the stuffing down and step away from the frim fram sauce, because DCLX has got some live music coming your way! Welcome back to the ballroom our very own hometown heroes, Craig Gildner & the Blue Sky 5! This X’tra is definitely something to be thankful for! Come spend some time with your dance family and swing the heck out as Craig and his band play some tunes sure to be hotter than the oil you fried your turkey in! $18 regular admission, $14 with a valid student ID. If you know how to lindy hop, watch TCM for fashion ideas in your wardrobe, appreciate style that never goes out of style, and listen to music from the era after prohibition and before rock and roll, then this band is for you! Craig Gildner and The Blue Sky 5 were formed in 1999 by original members Craig Gildner and Tommy Greco during the high point of the swing dance resurgence. While other bands were donning outrageous zoot suits and playing jump blues, Craig was delving into the true classic repertoire of the swing era small bands from Basie, Ellington, Goodman and Shaw. A unique feature of this band is that there are original songs and arrangements that stay true to the swing lexicon: you’d hardly know if it was written in 1944 or 2014. Vintage instruments and attire complete the effect. As testament to the band’s authenticity, it has appeared at premiere dance events such as DCLX, CincyLX, Austin Lindy Exchange, Jammin’ on the James, and Midsummer Night Swing. DCLX’tra September 16, 2017 – Chelsea Reed & the Fairweather Six! The band will be lighting up the ballroom with three hours of toe-tappin jazz and THEN moving to the back room for another couple hours of booty shakin blues! You won’t want to miss this!! Now, Chelsea Reed and the Fair Weather Six are at home at swing dances, jazz clubs and concert halls alike. They have played renowned Philadelphia venues and travel the country year round to perform at both Lindy and Blues exchanges and workshops. They’ve had the honor of sharing the stage with trombonist Wycliffe Gordon, pianist Gordon Webster, and bassist Michael Gamble. They love exploring the roots of jazz and finding creative ways to interpret forgotten songs. Drawing upon the intensity of powerhouse vocalists, the ingenuity of 20th century composers, and the soul of the dance floor, Chelsea Reed and the Fair Weather Six honor the heritage of jazz with fresh arrangements and original songs. They are silly, passionate people who love playing this music. Band breaks by DJ Tony Vergara! Come early at 8pm for a beginner lesson with fabulous local instructors (included in your admission price). Or, take our intermediate class (just $5) and learn something brand new! And remember, DCLX has Square! So cash, check, or plastic all work.